Ready for an industry secret that's hardly a surprise? Most so-called power-supply unit (PSU) manufacturers don't do any, well, manufacturing themselves. The normal route to a retail presence is to partner up with a company who has genuine manufacturing capabilities in Taiwan or China and have them build PSUs to your specification. This specification usually isn't very different from the base platform, thus enabling new supplies to come to market quickly and without too much of a price premium. But what if the original equipment manufacturers, known as OEMs, decide they want a retail presence of their own? They have the technical know-how, evidently, so it's a case of subtle marketing that doesn't take the shine away from other companies who use their designs. And guess what? Fortron Source Power, better known as FSP, is one of these OEMs. Founded over 20 years ago and considered to be the fifth-largest PSU vendor in the world, it has been selling FSP-branded supplies for over 10 years. 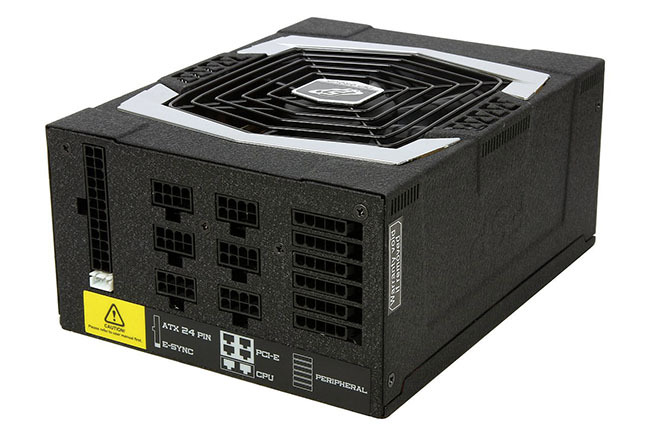 A good example of a premium FSP PSU is the Aurum PT series. Currently sitting at the top of FSP's consumer range, the supply is available in 850W, 1,000W and 1,200W capacities. 80 PLUS Platinum certification means it's high on efficiency, too. The 1,200W model in for review today, priced at £170, ticks most of the other boxes expected of a high-end PSU, with fully-modular cabling, all-Japanese capacitors, guaranteed wattage at a high ambient temperature, and a quiet fan. All models have a powder-coated finish with a very discrete FSP logo on both sides. The trio of capacities share the same housing that measures 190mm long, 150mm wide and 86mm high, so ensure your chassis can accommodate them. They also house a dynamic fluid bearing 135mm fan that, unlike most of the competition, doesn't switch off at low loads. FSP claims the arrow cutouts on the left-hand side promote airflow to be pushed upwards rather than straight out of the back, and we did notice air being jettisoned in that direction during testing. Empirical evaluation of internal temperatures, which you will see later on in the review, will bear out any advantages. Notice the E-Sync connector just below the main power ports? The three-pin connector hooks up to a daughterboard on the PCB and through to the 24-pin motherboard connector, circumventing the slight cable loss usually incurred through the cables. FSP says it provides a truer voltage to the components. 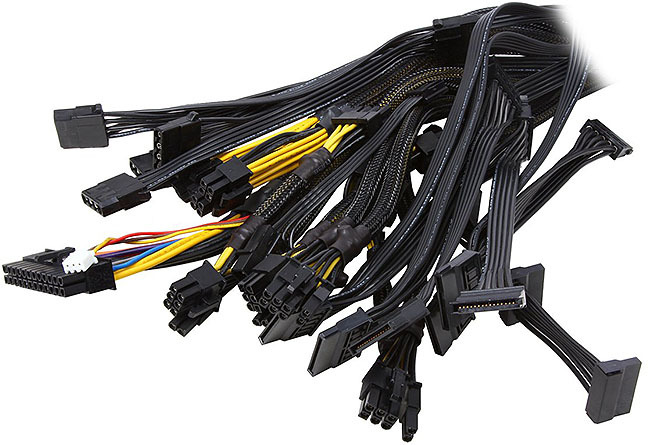 Nowadays it's rare to see a premium PSU outfitted with anything other than fully-modular cabling. Ports are laid out very logically, from motherboard connectors, PCIe for graphics and a row of connections for SATA and Molex cabling. Each set of cables fit into their dedicated ports alone such that PCIe aren't interchangeable with the CPU ports and vice versa. Some of the good work thus far is undone by the mass of cabling. Only the peripheral cables are flat, unfortunately, so pulling the thicker PCIe and main power cables around the back of the motherboard isn't an elegant solution. The trio of supplies all have the same number of cables, split into 8 PCIe (6+2), 13 SATA, 6 Molex, a Floppy and the E-Sync that's joined on to the main 20-pin connector. Lengths start at 500mm for the four PCIe and are spaced out properly for cables on the same rung. The second connector is at least 100mm away from the first except on the four-plug SATA (55mm spacing). All told there are 13 cables hooked up to this beast. A single 12V rail design is common on today's premium PSUs. There are no surprises in the way the rest of the power is configured. 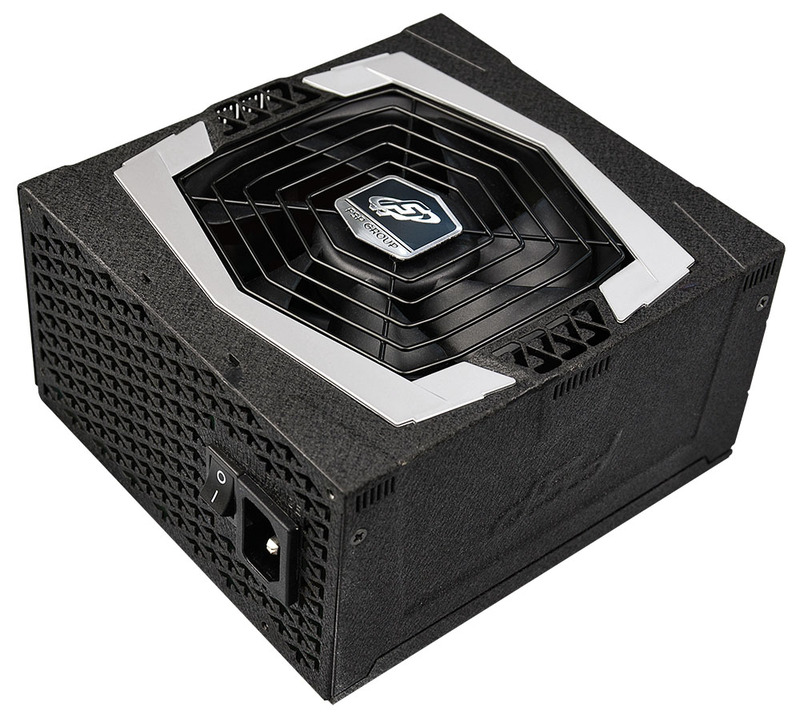 FSP backs the supply with a 7-year warranty, which is fast becoming the norm for premium PSUs.